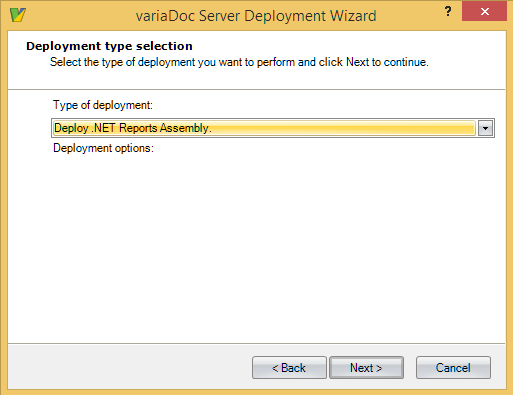 VariaDoc can be integrated into your .NET application using VariaDoc Reports assembly. 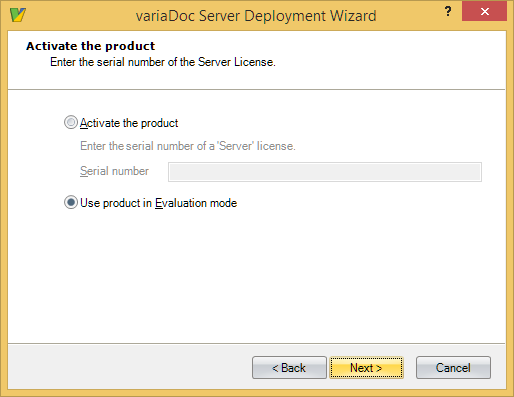 This enables you to use the power of VariaDoc in your own application. // Instantiate a project wrapper. // Setup input parameter values. 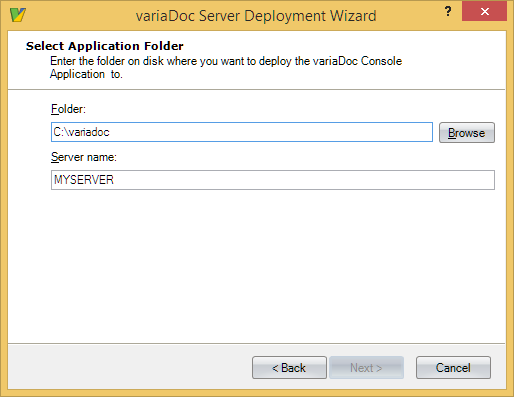 The Server Deployment Wizard is used to deploy all required files to a user specified folder. This folder must be on a local hard disk for security reasons. 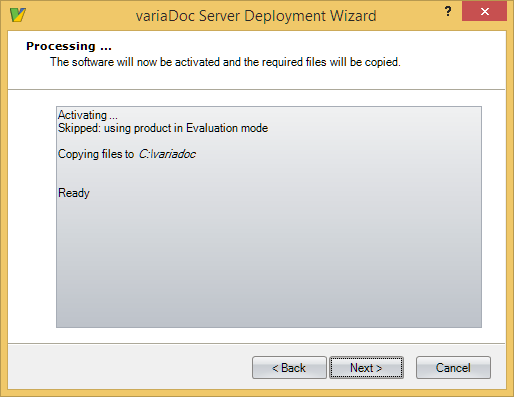 Start the Server Deployment Wizard by selecting variaDoc 6 > Server Deployment Wizard. The Server Deployment Wizard displays. Select Deploy as .Net Assembly. Enter the folder and server name where you want to deploy the integration assembly to and click Next. If the folder you selected doesn't exist, the 'Next' button will be disabled. You must manually create a folder with the specified name. Select Activate the product and enter the serial number for the server license or use the product in Evaluation mode. You can retrieve your serial number by logging into your account at http://www.variadoc.com and navigating to the Licenses section. After the product is deployed to the folder specified, click Next and then click Finish. 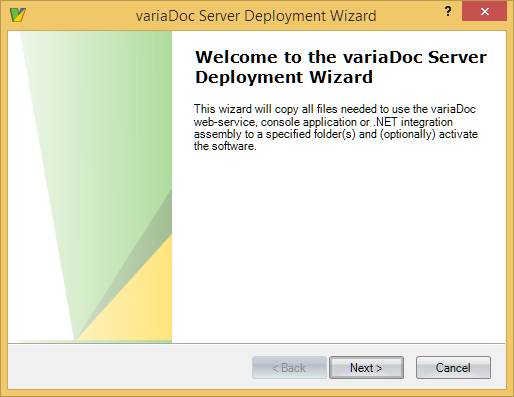 You can now use the VariaDoc.Reports.dll assembly from the entered folder. For further assistance, contact support at support@variadoc.com.